Kolst Review 2019: Is Kolst a Good Hosting? Kolst was originally founded as KPNQwest Italia, a telecommunications provider serving Italian corporations from their base in Milan. With ten data centers and over 21,000 servers interspersed throughout Italy, Kolst offers their customers an infrastructure and operational backing like few other Italian hosting providers. Kolst was originally founded over 30 years ago as a telecommunications provider serving Italian corporations out of their base in Milan. They eventually expanded to include web hosting as part of their offerings. With ten data centers and over 21,000 servers interspersed throughout Italy, Kolst offers their customers an infrastructure and operational backing like few other Italian hosting providers. Kolst web hosting includes Linux and Windows multi-domain shared hosting and single domain hosting. This is where it’s apparent that they’re new to the hosting game; despite their well-developed telecommunications infrastructure, they do not yet offer more scalable hosting solutions, such as cloud, VPS, or dedicated server hosting. Their single-domain hosting plan starts with 1GB storage, unlimited bandwidth, basic email, and antivirus and antispam features. Their package seems heavily skewed towards email support given their background as a telecommunications provider. For instance, you get receipts of successful or failed email deliveries, email alerts, webmail access, and a control panel for multiple email accounts with their second-tier plans or higher. Unfortunately, it also seems you won’t have all the features that typically come with a more specialized web hosting provider. This means no scripting language support, one-click app installers, website builders, or even MySQL databases. Their multi-domain Linux and Windows hosting plans are slightly better. At the very least, they include a minimum of ten FTP accounts, a free domain registration, three databases, and three subdomains, although they still don’t have a one-click app installer or website builder. It remains to be seen whether Kolst will develop their packages more fully in the years to come, but for now, their offerings seem rather disappointing. It’s also unclear how easy their platform is for users to learn. Their main website looks rather dated, which may be an indication of the user experience you’ll have if you purchase a package from them. Kolst does have one thing going for them: their packages are incredibly affordable by European standards. Their single domain packages are obviously far cheaper than their multi-domain packages, but even so, their multi-domain packages are well-priced if you only consider the resources included. Of course, you may find the lack of a well-developed feature set a huge disadvantage in the long run, so that’s something to keep in mind. There are no free plans or money back guarantees available. Interestingly, they do have a five-day free trial. If you need any technical assistance, you’ll have to log in to your customer portal to submit a ticket. They don’t appear to have any live chat or phone support available, although there is a simple FAQ on their website. Be prepared to speak in Italian when communicating with them as their website, help documentation, and support channels are not available in any other languages. Kolst is the web hosting arm of a large telecommunications company, so they’re backed by a lot of experience and infrastructure. Their plans will need far more development for them to be competitive in the hosting industry, however. 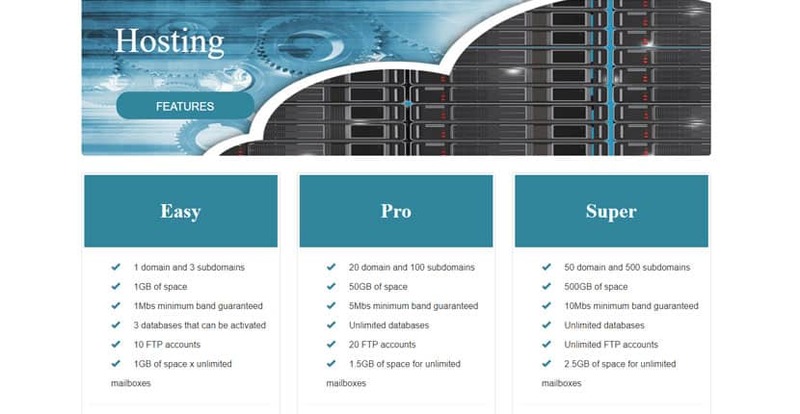 Wondering how Kolst stacks up against other Web Hosting companies? Enter any other Web Hosting company and we will give you a side-by-side comparison.